My Aunt Kimm comes up with the most creative recipes!!! 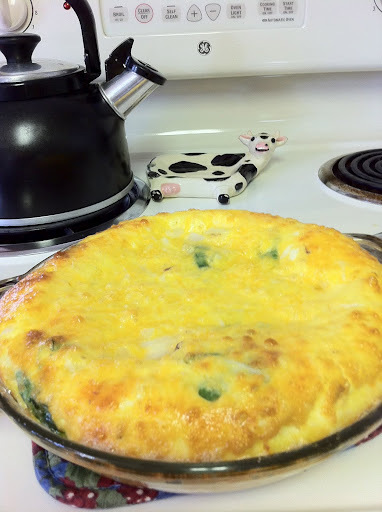 This crustless quiche comes out with a crispy buttery edge that is to die for! If you like this recipe you’ll love Kimm’s Festive Squash Gratin. Soften the butter and spread it evenly over a 10 inch flat bottomed tart pan (you can substitue a 9 in round cake pan, but you won’t get the best results with a pie pan). Cut the thick stems off the spinach and wilt it in the microwave for 30 seconds. 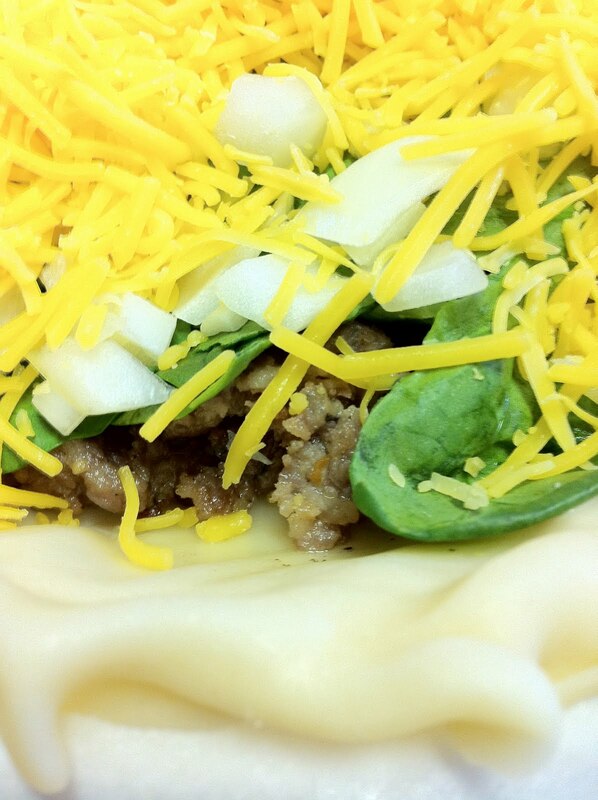 Layer the sausage, spinach, diced onion and shredded cheese (I used sharp cheddar). Pour the egg mixture over the toppings. Bake for 35 minutes at 350°F (176°C). 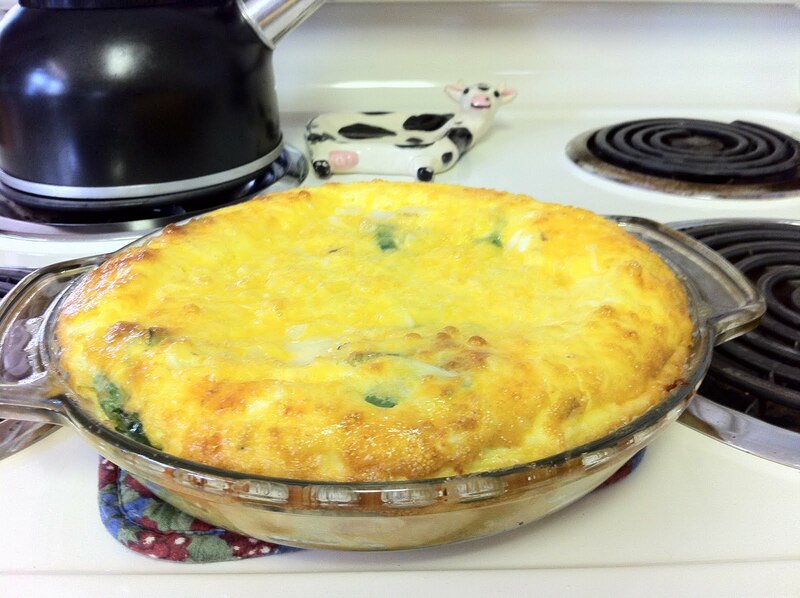 After making the quiche I realized that I had exactly half of everything I bought left over so I decided to use the rest of the ingredients in a pie crust this time, just to demonstrate that it works just as well. 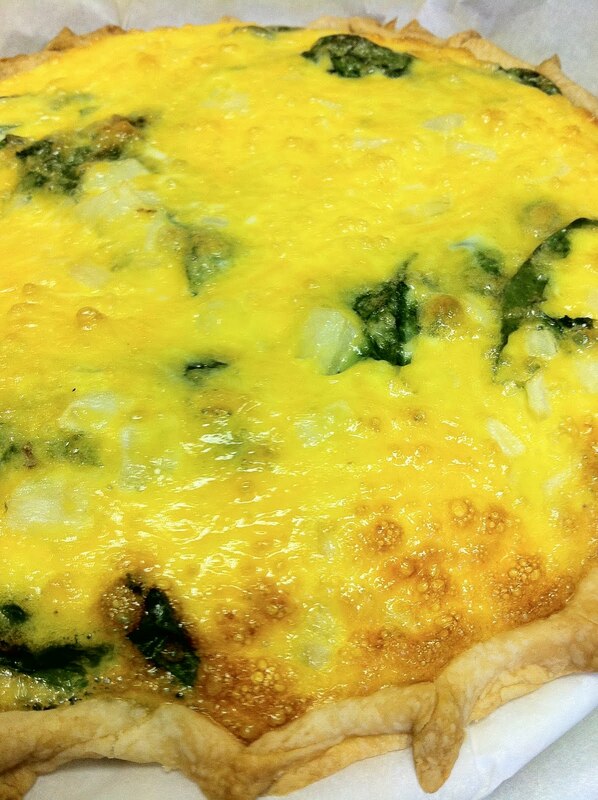 Ingredients layed out in a quiche crust.